When I lived in Beijing 10 years ago, my colleagues would eat fangbian mian (方便麵 ) or "instant noodles". It was what people loaded up on in supermarkets, buying a dozen at a time -- the same flavour too. I wondered if they knew these noodles didn't have much nutritional value being deep-fried, but they just thought it was convenient to cook in minutes. However it seems the Chinese are eating less instant noodles than even three years ago, even though China is still the biggest consumer of the popular food product, according to a 2016 estimate by the World Instant Noodles Association. 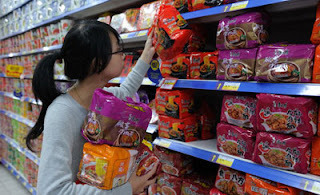 lobally a total of 97.5 billion servings of instant noodles were eaten, with China accounting for nearly 40 percent, while Indonesia was a distant second at 13 billion servings. 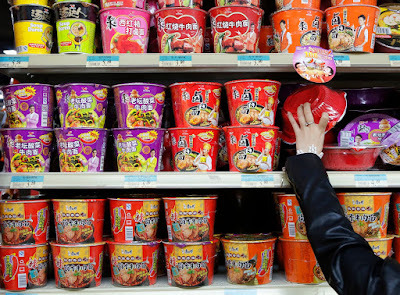 However in the past few years, China's consumption of instant noodles has actually dropped by 20 percent. In 2013 the country ate 46.2 billion servings, and 2016 marked the fourth consecutive year of decline, with 38.5 billion servings. When it comes to per capita consumption, South Korea is number one with 76.1 servings per year for 2016, and China was only 27.7 servings. There are many reasons for the drop in demand for instant noodles. 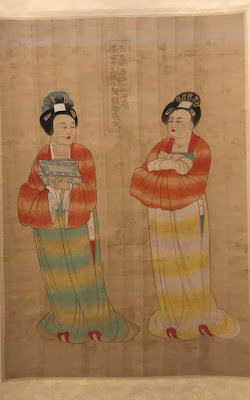 According to the Straits Times, the rise of the Chinese instant noodle market paralleled "an economic boom that was fueled by the migration of low-cost workers from the countryside." But now that the economy has been slowing down these few years, the population of migrant workers has dropped off significantly, many returning to their hometowns. Another reason is the rise of the middle class and they are more health-conscious and can afford better quality food. The third and probably biggest reason is the rise of online food delivery services that make it so much easier (and cheaper) to order food on their phone than to buy groceries and cook at home.